True to it's name, this signature hotel is primarily suited to business guests. 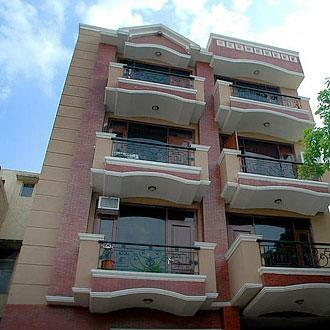 Centrally located at Saket, close to the US consulate, it has a modern facade and fully-furnished, AC 2, 3 and 4 bedroom apartments. The apartments have well-equipped kitchens and attached bathrooms. Hotel services include laundry and airport transfers - both at an additional charge, parking, a lift, and a doctor on call. The building is surrounded by a joggers' strip and a children's play area.